Marsh, James H.. "Japanese Canadian Internment: Prisoners in their own Country". The Canadian Encyclopedia, 25 January 2019, Historica Canada. 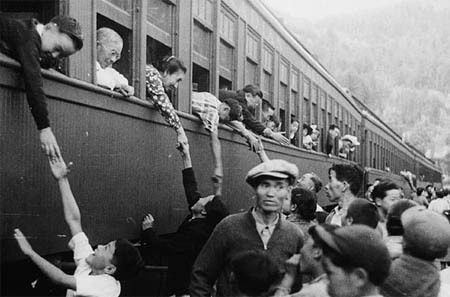 https://www.thecanadianencyclopedia.ca/en/article/japanese-internment-banished-and-beyond-tears-feature. Accessed 20 April 2019. Japanese people had long suffered the sting of racism in Canada by that point. Ever since the first Japanese person, a man named Manzo Nagano, stepped ashore in 1877 at New Westminster, White settlers in British Columbia tried to exclude people whom they considered to be “undesirables.” In so doing, they passed laws to keep Japanese people from working in the mines, to prevent them from voting and to prohibit them from working on any project funded by the province. Then came the stunning news, on 7 December 1941, of Japan’s attacks on Pearl Harbor and Hong Kong, where Canadian troops were stationed (see Battle of Hong Kong). With these shocking events, fears of a Japanese invasion were sparked and their flames fanned by a sensationalist press. 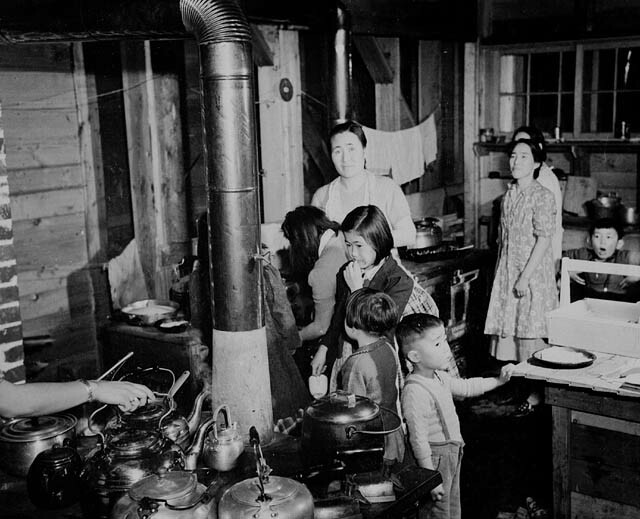 Distrust of Japanese Canadians spread along the Pacific Coast. The RCMP moved quickly to arrest suspected Japanese operatives, while the Royal Canadian Navy began to impound 1,200 Japanese-owned fishing boats. On the recommendation of the RCMP and in order to avoid racist backlash, Japanese newspapers and schools were voluntarily shut down. 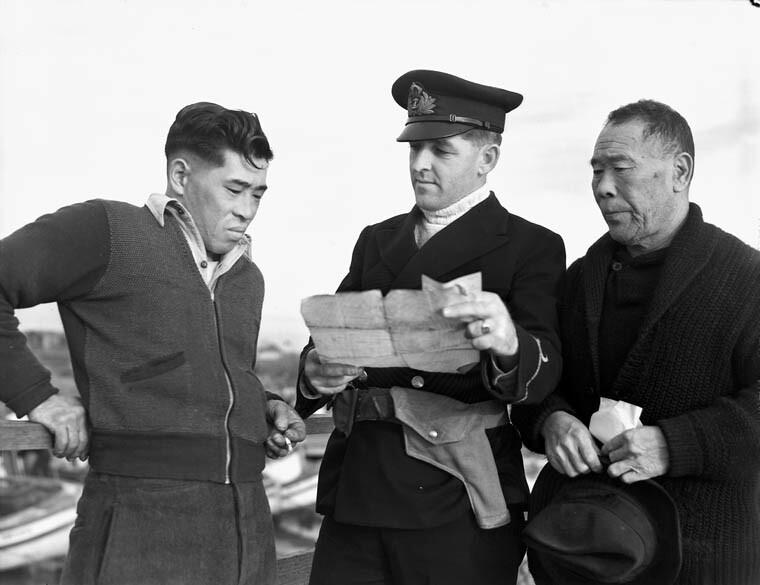 “From the army point of view, I cannot see that Japanese Canadians constitute the slightest menace to national security,” wrote Major-General Kenneth Stuart. Nevertheless, BC politicians were in a rage, speaking of the Japanese “in the way that the Nazis would have spoken about Jewish Germans. When they spoke I felt… the physical presence of evil,” said Escott Reid, a Canadian diplomat. 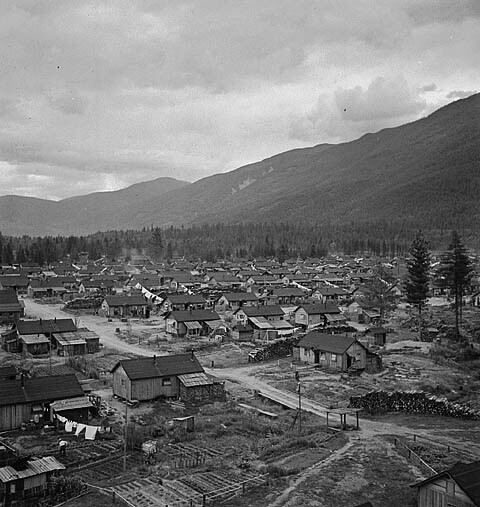 Special trains then carried the Japanese detainees to Slocan, New Denver, Kaslo, Greenwood and Sandon — ghost towns in the BC interior. Others were offered the option of working on sugar beet farms in Alberta and Manitoba (see Sugar Industry), where they would be able to keep their families intact. Though the camps were not surrounded with barbed wire fences, as they were in the United States, conditions were overcrowded and poor, with no electricity or running water. Anti-Japanese racism was not confined to British Columbia, but was spread across Canada. 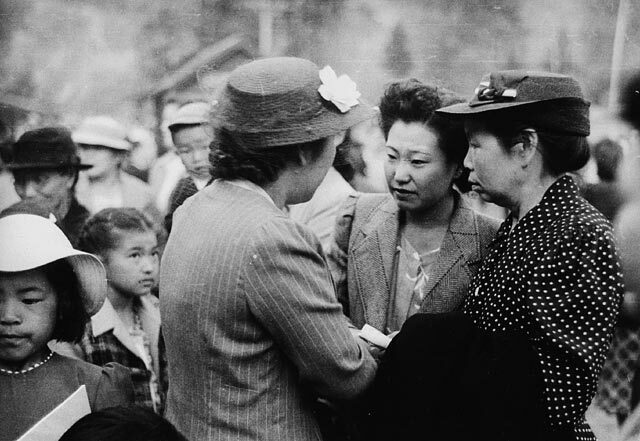 Though acutely in need of labour, Albertans did not want Japanese Canadians in their midst. Alberta sugar beet farmers crowded Japanese labourers into tiny shacks, uninsulated granaries and chicken coops, and paid them a pittance for their hard labour. 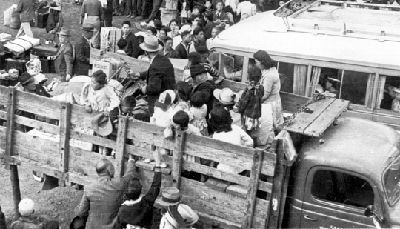 Just over 90 per cent of Japanese Canadians — some 21,000 people — were uprooted during the war. The majority were Canadian citizens by birth. Even at the end of the war, Mackenzie King continued to bow to the most strident demands of the politicians and the citizens he represented. He offered Japanese Canadians two choices: move to Japan or disperse to provinces east of the Rocky Mountains. He never expressed any regrets for the treatment of Japanese Canadians — during the war or after. 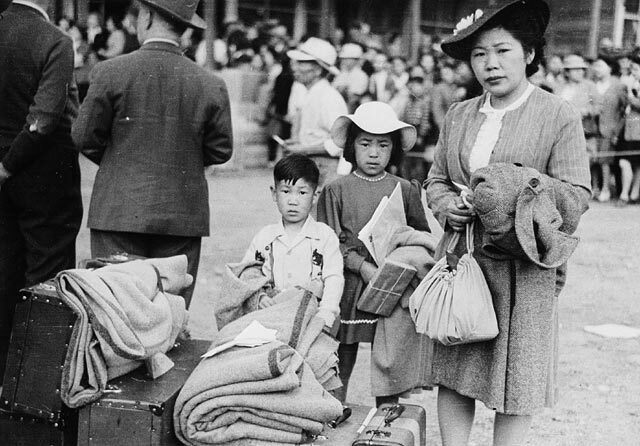 In 1946, nearly 4,000 former internees sailed to a bombed-out Japan. About 2,000 were aging first-generation immigrants — 1,300 were children under 16 years of age. 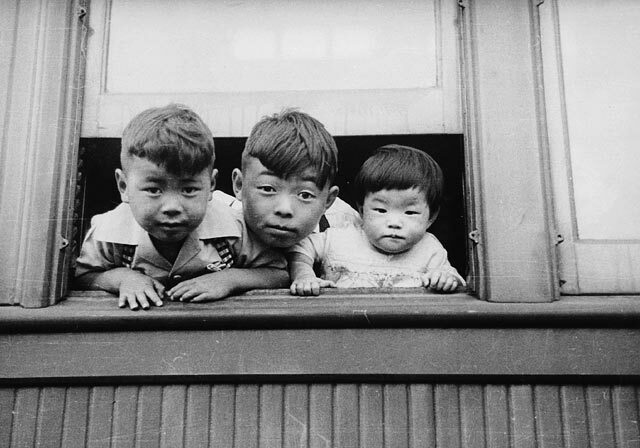 The last controls on Japanese Canadians were not lifted until 1948, when they were granted the right to vote. Finally, Canadian society began to open to the Japanese. The military threat cited to justify the evacuation of the Japanese never existed outside the overheated imaginations of some British Columbians. Not a single Japanese Canadian was charged with any wrongdoing. Still, some have been uncomfortable judging the acts of our predecessors from the exalted perspective of hindsight. When Japanese Canadians campaigned for compensation on 29 June 1984, Prime Minister Pierre Trudeau said, “I do not see how I can apologize for some historic event to which we… were not a party. We can regret that it happened.” He then went on to ask where such claims for compensation would end. Indeed, other communities in Canada also sought redress and apology from the government for its racially motivated policies of the past, including Chinese Canadians who paid the head tax and Indigenous peoples forced to attend residential schools — among others. History leaves many victims. 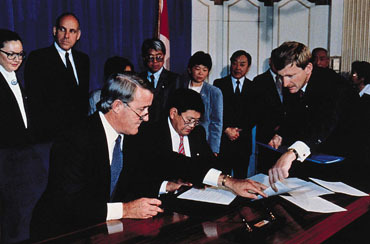 But as expressed in the April 1947 issue of Saturday Night magazine, “It is the first step which costs; an injustice once performed is fatally easy to repeat.” On 22 September 1988, Prime Minister Brian Mulroney rose in the House of Commons to apologize on behalf of the Canadian government for the wrongs it committed against Japanese Canadians during wartime. The apology came with symbolic redress payments to individuals and to community funds. But the most enduring accomplishment of the Japanese campaign for redress was the abolition of the War Measures Act, which had provided the legal basis for the removal of the Japanese from their homes. Ultimately, the redress campaign was a strong reminder of the poisonous effects of racism.